Table on 2nd floor balcony. Table on 1st floor near/against back walls. Table on 1st floor near middle of room. 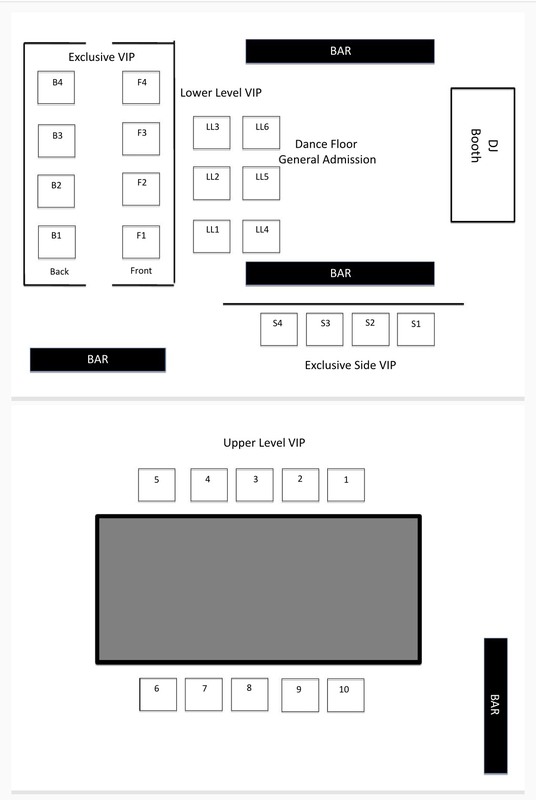 Table on 1st floor near dance floor / DJ booth.